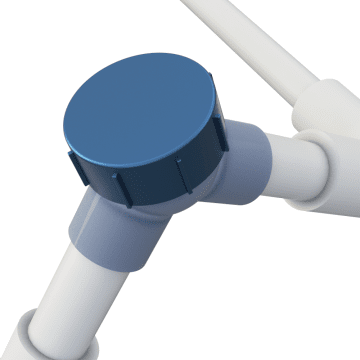 Create an access point for pulling wire and cable through sections of conduit and change the direction of your conduit run with these capped elbows. They have a 90° bend and include a cover that can be unscrewed to pull wires and cables through the bend from either direction. Use them to connect intermediate or rigid metal conduit (IMC or RMC) at a 90° angle in hazardous locations.